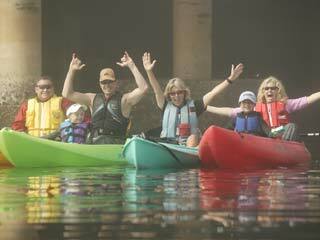 rentals from several locations throughout the Peninsula. 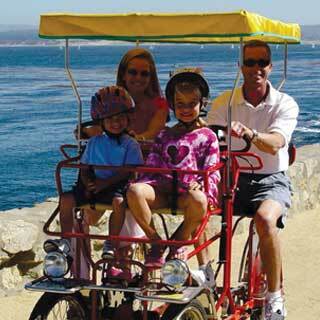 View the Monterey Bay Coastline on a bike or a 4-Wheel Family Bike Surrey from Adventures By The Sea A common sight along Monterey’s Recreation Trail are four-wheel bike surreys. 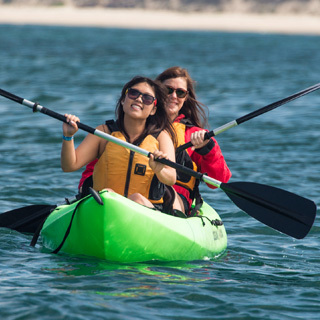 These delightful pedal-driven carriages are a great way for a couple, family or group of friends to enjoy a leisurely ride together to explore the beautiful coastal area, while providing highly interactive and healthy fun. 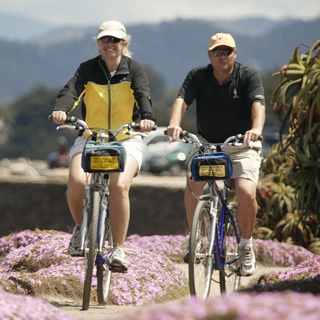 Or you can discover the beautiful Monterey Peninsula pedaling a bicycle along the recreation trail, around the rocky shores of Pacific Grove and into breathtaking 17-Mile Drive. Water sports for everyone!